The D.I was designed to replace the Hansa-Brandenburg D.I series. The Aviatik D.I holds the distinction of becoming the first indigenously-designed fighter to be build in whole in Austria. Often called the Berg Scout, in honour of the chief designer of Austro-Hungarian Aviatik, Julius von Berg, this basic single-seat scout design was originally designated Serie 30.14. Though primary manufacture of the Aviatik D.I was handled by Austrian Aviatik, license-production was also undertaken at multiple facilities. These included Lohner, Lloyd, MAG, Thone und Fiala and WKF under various batch series designations and differed mainly in horsepower output of their selected Austro-Daimler engines. In all, roughly 700 of all types were produced from 1917 into 1918. Deliveries began in the Fall of 1917 and continued on into October of 1918. Development was protracted and production did not begin until early 1917, the sub-type having by this time progressed to Type 30.21. As the D.I, this was ordered in large numbers (possibly as many as 1200) and about 700 were delivered by Aviatik (Serie 38), WKF (Serie 84), MAG (Serie 92), Thbne und Fiala (Serie 101) and Lohner (Serie 115). Repeat batches with higher numbers were ordered, the bulk of those delivered having the 200-hp engine and final batches the 235-hp version. 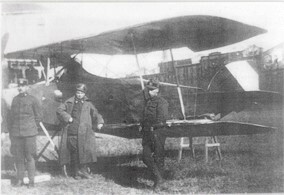 Built by the Austrian-Hungarian Aeroplane Works in Vienna-Stadlau, this type was used for recce duties by the Austrian Air Force during the Great War. sometimes the side panels, removed to assist cooling. Initial armament was a single 8-mm Schwarzlose machine-gun mounted above the upper wing to fire over the propel-ler, but two of these guns, with synchronizing gear, in the top decking flanking the cylinders became standard armament. In almost every case the guns were so far forward that the pilot could not reach them to clear a stop-page, though many pilots fitted string to the cocking handles. The D.1 was replaced progressively from the Balkan and Italian fronts during 1918 by the preferred Albatros scouts. 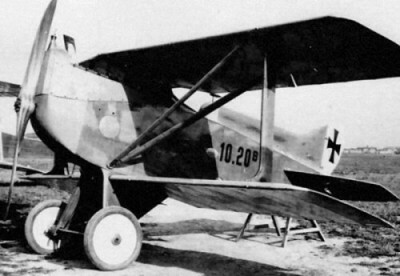 The D.I appeared in a revised form as the D.II with a cantilever low wing assembly. The D.II was produced in limited quantities in two batches beginning in 1918 but arrived too late to see useful delivery to combat units. 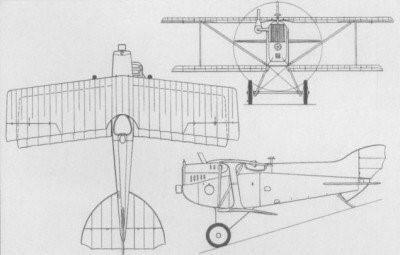 The D.I was also considered in a few other notable "one-off" prototype forms - mainly the D.III, a high-altitude variant fitting a Hiero engine of 230 horsepower and the Dr.I (Type 30.24), a triplane design based on the D.I biplane. Engine: 1 x Austro-Daimler liquid-cooled 6-cylinder, 200 horsepower. Armament: 2 x 8mm Schwarzlose synchronized forward-firing machine guns.